Soha Madi, is a graduate of Lebanese American University. She has a degree in nutrition with a minor in psychology. Soha trained in clinical nutrition at University Medical Rizk Hospital and Diet Center, Lebanon. She worked as well in nutrition related community services with IOCC and World Vision. Soha has been practicing her work in clinical nutrition since 2012. 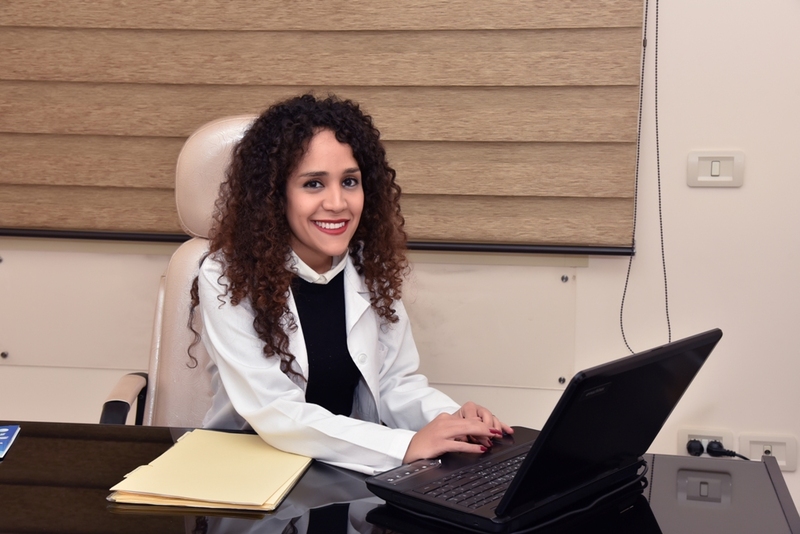 She is working currently at her own clinic, the Lebanese University outpatient clinics, and at Family Care clinic. The dietitian at Family care clinic, plans dietary treatment programs for patients or clients. She counsels and advises them of dietary changes to make to manage their medical conditions. The work of the dietitian at Family care clinic is divided into different parts. First, she conducts routine nutritional assessment which involves determining medical and family history; food recall to identify the dietary habits of the patient; and anthropometric measurements using advanced technology to identify height, weight, fat, water and muscle composition. After conducting and evaluating a nutritional assessment of the patient, the clinical nutritionist might also collaborate with the family doctor at Family Care Clinic to determine what diet is appropriate based on the diagnosis and treatment protocol given for the patient. Accordingly, she recommends a dietary meal plan which includes the types, quantity and portion size of foods to be consumed daily. She focuses on offering a diet that balances the patient’s desires for food preferences with medical needs and patient’s quality of life. As the patient’s health progresses, the dietitian adjusts the patient’s diet plan.